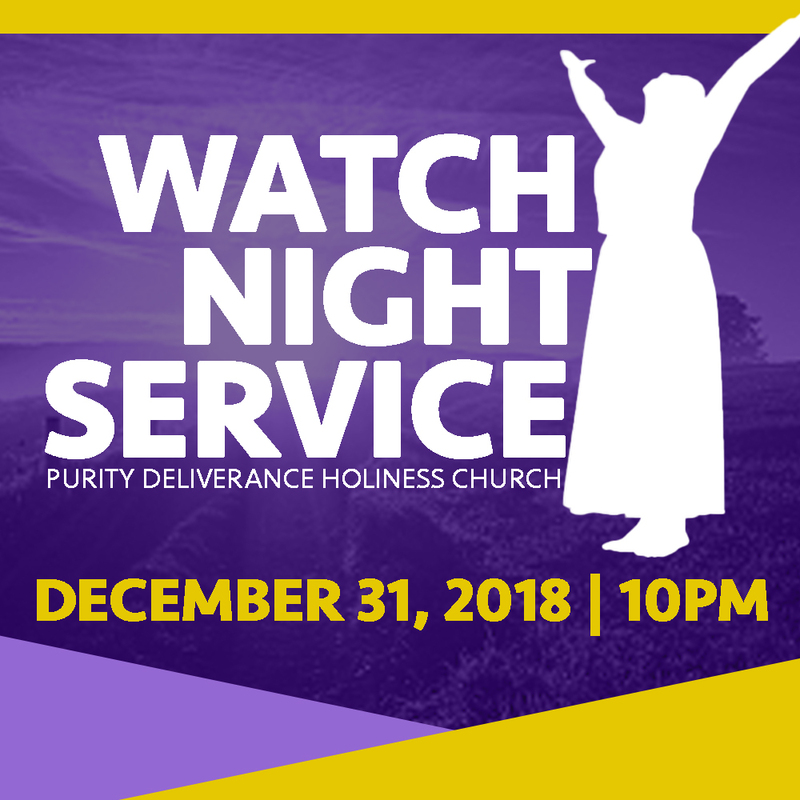 Make plans to join the Purity Deliverance Holiness Church for Watch Night Service 2018! It’s a time that we gather to praise the Lord for bringing us through the year of 2018. 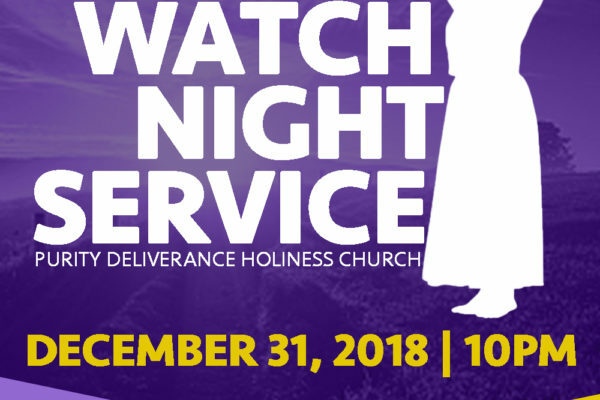 This service will start at 10:00pm. Our Annual Church Business Session, for members only, will be at 9pm. For more information, message us for information under our contact page.